The Matsch farming women, with the support of all the associations in the village, the hamlet and the tourism establishments, have mounted memorial plaques along a leisurely, fairly short hiking route into the Inner Matscher Alm offering wanderers the chance to read and enjoy a stop-off in the countryside. The hike is practicable for one and all, and yet leads right into the middle of the Matsch mountains. Our set-off point is the car park below the Glieshöfe. We walk along the forest path past the Matscher Alm mountain pasture and hut, to the Inner Matscher Alm and along the other side of the valley, on the “Hearasteig” route for our return. From the Glieshöfen farms, trail no. 9 leads to the Upital Valley. This hike to the picturesque Upisee Lake is also suitable, and interesting, for children. First, the trail leads steeply into the Upital, and then it levels out somewhat up to the Upialm (2,225 m). 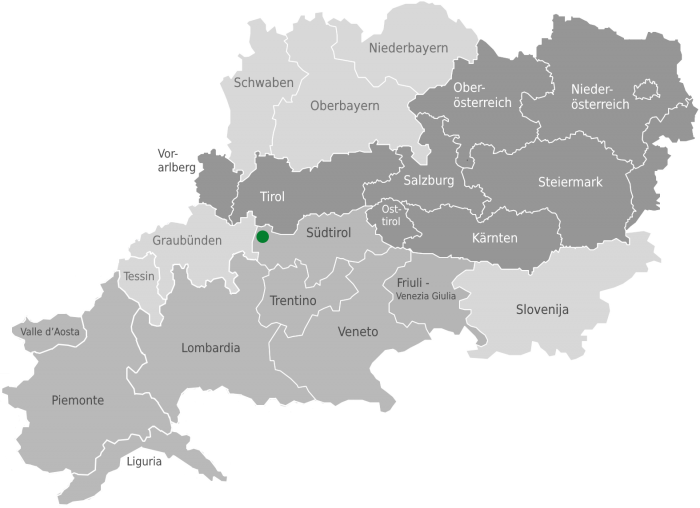 The Upialm is not a part of Matsch, but of Schluderns. The Upisee Lake lies in a hollow at the foot of the Upikopf, the Hochalt and the Litznerspitze. 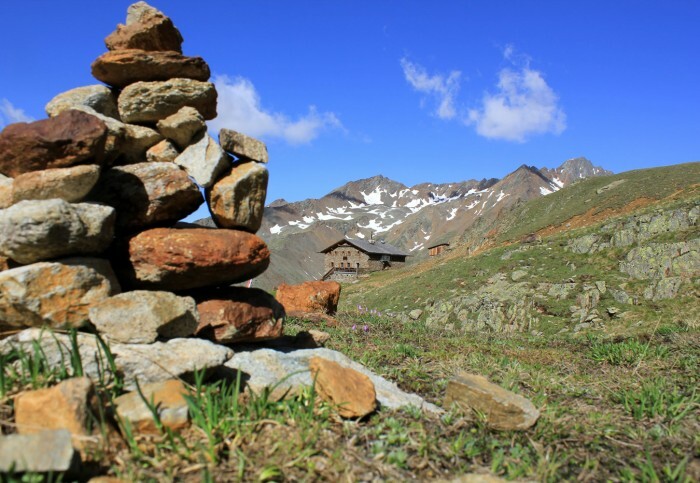 The hike can also be extended to a mountain tour leading further on to the Upikopf (3,175 m) and Hochalt (3,285 m). Trail no. 9 leads up to the Upikopf, and is one of the easiest three-thousanders in Matsch. This hike is suitable for families with children and offers a beautiful view of the Matsch mountains. The tour can be shortened or extended as you prefer. Starting from the Glieshof we go back a few hundred metres to the right towards the Thaneihöfe farms. Follow trail no. 8 to the scenic Eisa with its well-kept meadows up to trail no. 7, which we then follow through the forest to the Matscher Alm. A shortcut leads past Saloms down to the forest road which brings us back to our starting point. If you fancy a longer hike, take path no. 7A past Plamjack into the valley to the small lakes at the Semmlerstein stone (2,500 m) and from there take the short descent down to the gully “Klamm”. From here, the path leads along the valley floor to the Matscher Alm. From the picturesque valleys end behind the Hotel Glieshof, the narrow trail no. 1 branches off and leads through the forest to the Inner Matscher Alm. This path is known to locals as the “Hearasteig,” as in days gone by the “Hearn” (“Herren” – i.e. 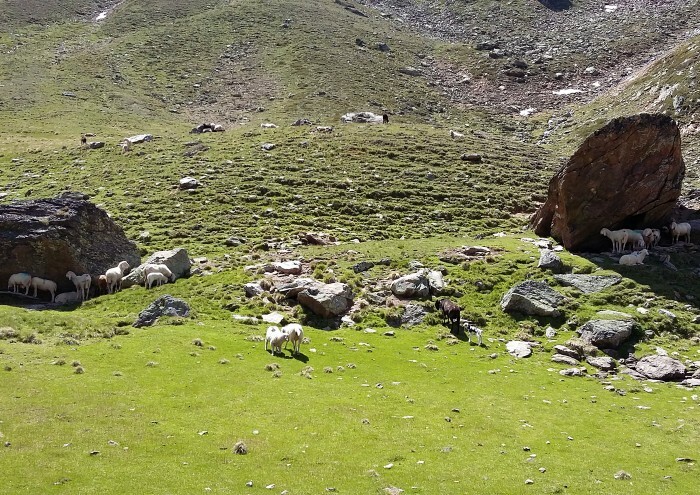 the wealthier tourists) were guided up this route to explore the mountains. From the Inner Matscher Alm, a wide forest trail leads past Einsiedel to the materials cable car at the Oberettes mountain hut. 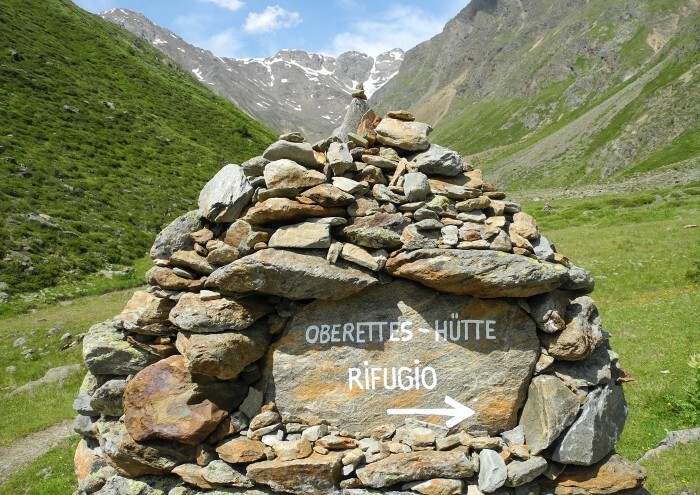 Below this valley station, we follow the path into the valley and take the meandering route up a gentle ascent to the Oberettes mountain hut (2,670 m). An alternative route back is the descent from the AVS refuge above the roaring gully of the Saldurbach. From here, the path leads back to the cable car and out of the valley as described. Another option is the short ascent to the sheep pasture at the Semmlerstein stone. Descend from the Portlesspitze, from the gully to Semmlerstein and high mountain trail for the return leg.